Since graduating from the University of Adelaide in agricultural science and Charles Sturt University in wine science, Warren has experienced vintages for Wynns Winegrowers, Seaview Champagne Cellars, Lindemans Wines, Seppelt Wines, Andrew Garrett Wines and Tinlins Wines. He has also completed several international vintages in California, France and Spain. Across the Randall Wine Group, which now includes Seppeltsfield of the Barossa, Tinlins Wines of McLaren Vale, Ryecroft of McLaren Vale and Quelltaler of Clare Valley, the combined viticultural assets cover approximately 5,000 acres of premium South Australian vineyards. 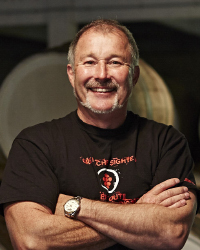 Warren was awarded the Ernst and Young Entrepreneur of the Year award in the South Australian category in 2002, as recognition for his wine business acumen. In addition to his wine business interests, Warren is Director of the Bridgewater Mill restaurant in the Adelaide Hills, shareholder of the Star of Greece restaurant on the Fleurieu Peninsula and Director of Widara Heritage Pork on the Yorke Peninsula. Warren will address A supplier’s perspective: what we see from the coalface on Monday in Session 1.